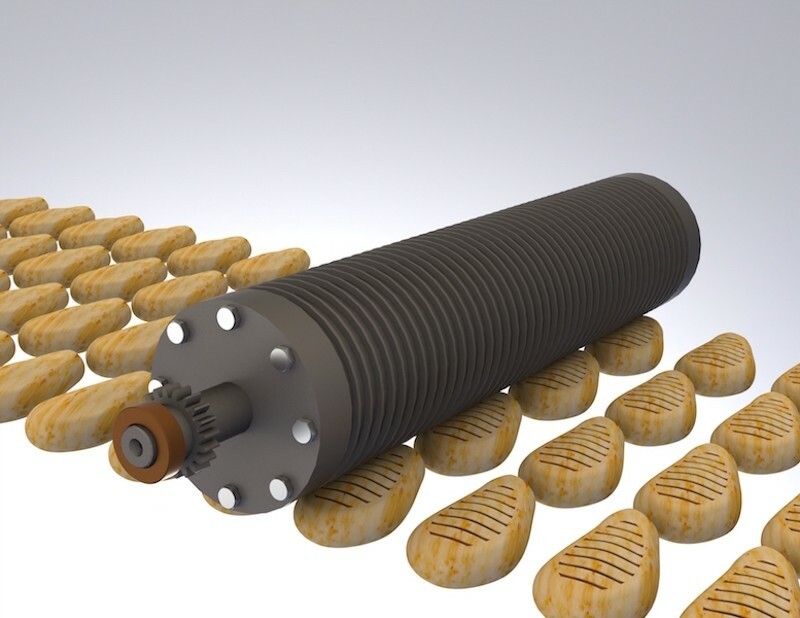 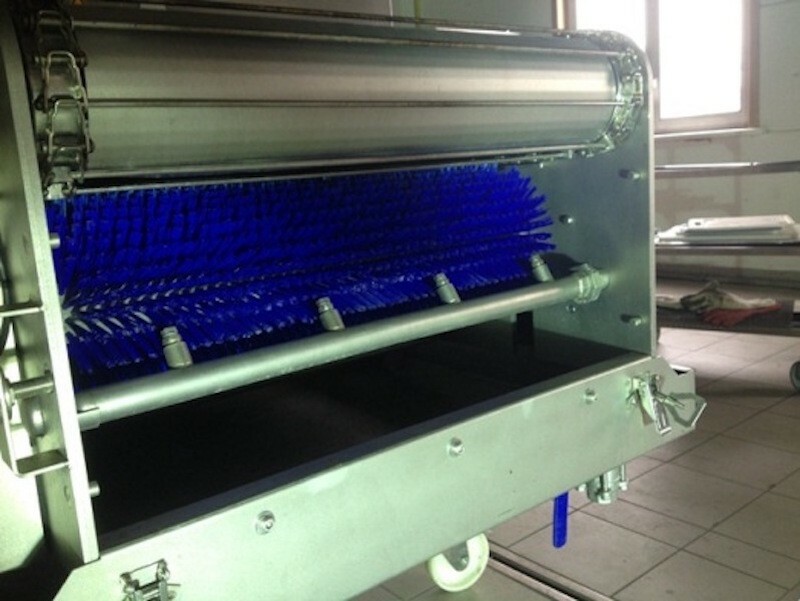 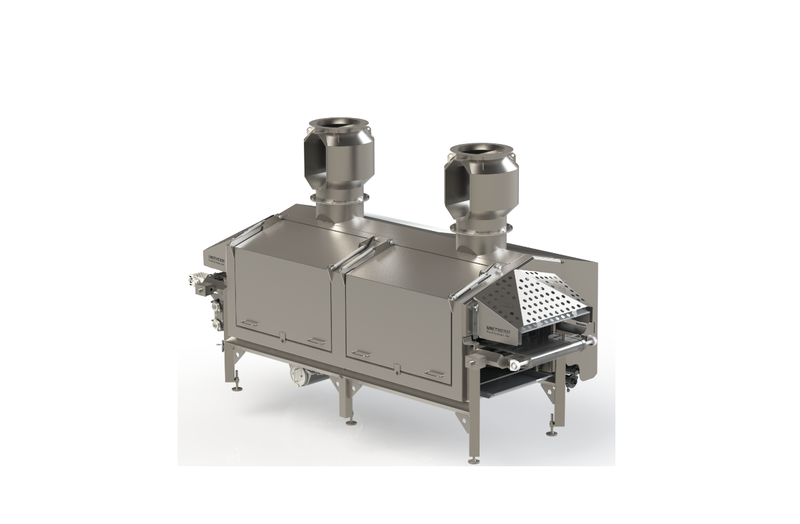 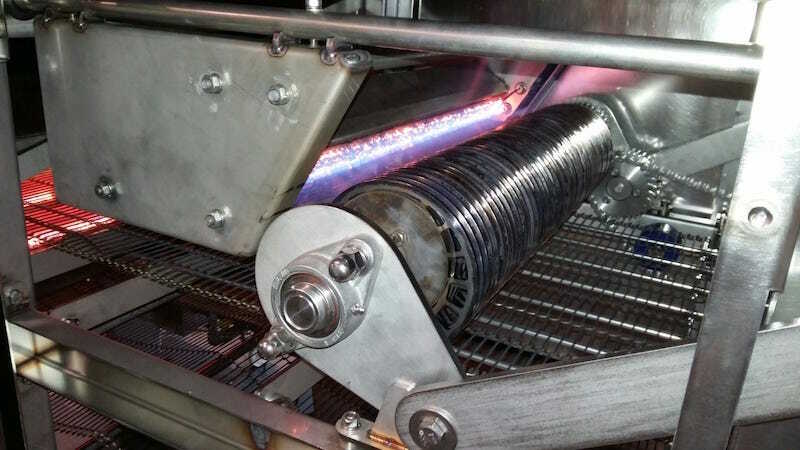 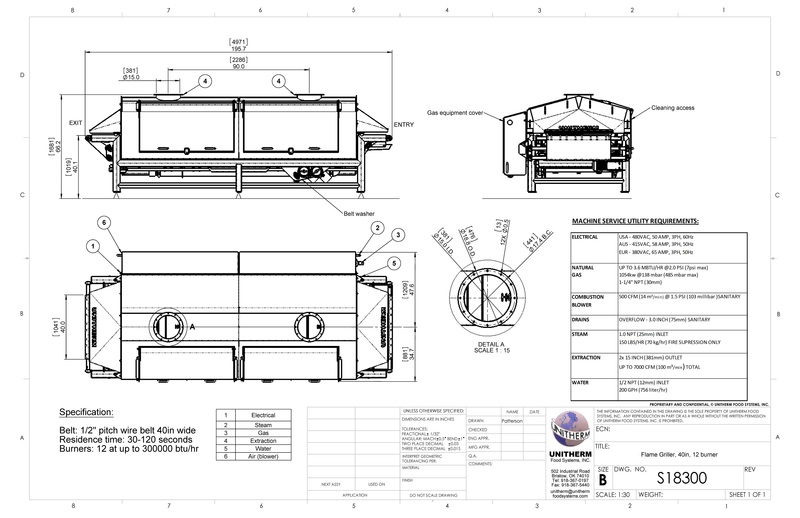 Our 40" Flame Grill is designed for processors requiring 3,000- 5, 000 lbs/hr. 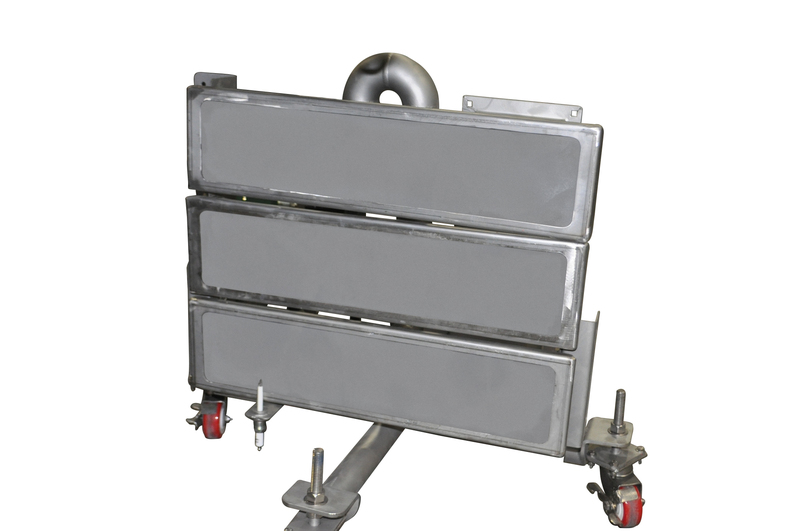 So, as your operations scale, our 40" Flame Grill scales alongside you for maximum production while maintaining product quality. 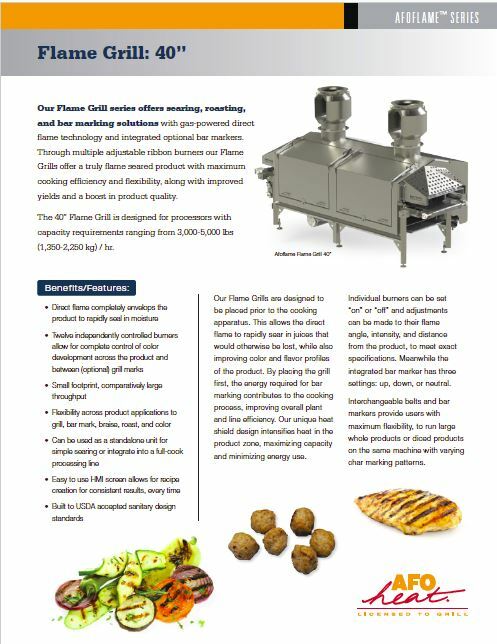 Whether diamond marking chicken breasts, flame searing short ribs, roasting tomatoes for sauce or bar marking bread, our Flame Grill can do it all. 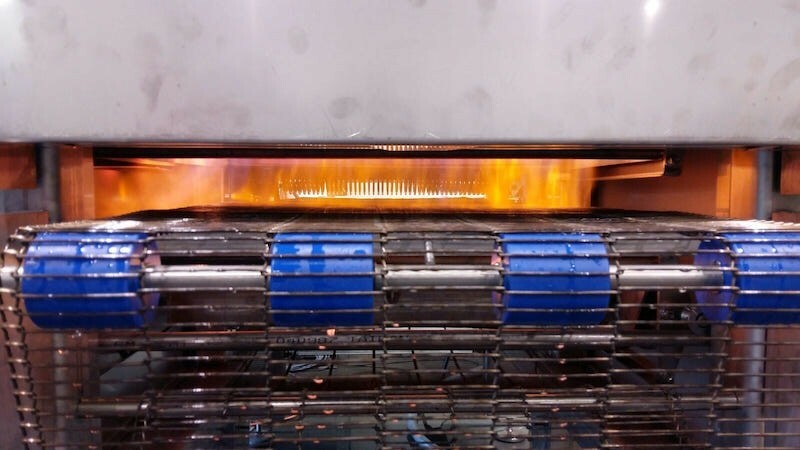 For a complete cook, pair our 40" Flame Grill with the Unitherm 40" Spiral Oven or Aquaflow Sous Vide Cooker.